The American Craftsman 50 window is an economy vinyl window that is sold almost exclusively sold through the big box stores such as Home Depot. American Craftsman by Anderson are typically available in much of the eastern part of the United States with the exception of Florida. All in all, the 50 model is not a very well made unit - I would suggest that you take a look at our best cheap replacement windows page for a list of budget windows that may work better. From the consumer standpoint, Home Depot offers excellent pricing, typically a price point that cannot be matched by local distributors. On the downside, HD will not offer the sort of specialized customer service, customization options and quality of installation that can be accessed through a local distributor. My suggestion for budget conscious consumers looking at the American Craftsman 50 window is to purchase the window through Home Depot if they have your size and options, and then find a quality independent installer, instead of using the HD subcontractors, who are typically paid at a low per window rate. Standard features on the 50 Series window include dual weatherstripping and a beveled exterior frame. The double hung model does include a tilt in option on both the bottom and the top sashes for easier cleaning. The single hung model includes this tilt in feature on the lower sash. The window is available as a double hung, single hung, casement, awning, fixed picture window, as well as in several specialty shapes. Many times, if consumers do you want custom features, sizes or styles, they will have to special order it with delivery times typically in the 3 to 4 week timeframe. The American Craftsman 50 series can be ordered in a white or beige on both the interior or exterior frame, as well as in a white or beige interior cam lock. Consumers can choose from three different grill options, including a Contour, Simulated divided Light, and a Flat style. There are a whole host of grill patterns that can help enhance the look of the 50 series, including styles such as Diamond, Prairie, Estate, Colonial and Farmhouse. Consumers can opt for a number of different glass upgrades, including a low E, low E3, tempered glass (laminated glass), obscure glass, and a low E low solar glass. Consumers can expect the American Craftsman 50 window replacement price to run $15 to $25 per square foot for the window itself. 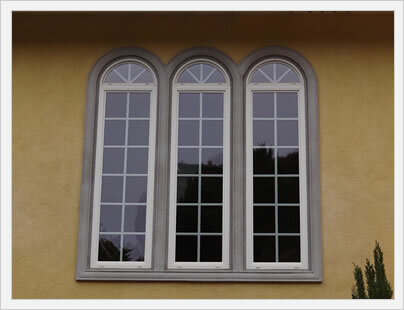 Comparable windows include Jeld Wen Builders Vinyl costs and Window World prices. The American Craftsman 50 vinyl window warranty is pretty typical for an entry-level or bargain window, it does not cover much. The 50 series does comes with the limited lifetime warranty from American Craftsman by Anderson. The warranty includes a lifetime provision on materials and workmanship on the frame and sash, as well as the insulated glass unit. The warranty does not cover the labor cost to pull the defective window out or replace it, simply the part(s) and/or the replacement window itself. The remainder of the warranty, which is available online, deals with the limitations and exclusions that apply to the window. We urge all consumers to read the warranty info before purchasing this product. If you have used either the American Craftsman 50 or 70 series windows and would like to post a review about your experience, we would love to hear from you. Your unique experience can help others just like you make the right decision for their next window replacement needs. Questions on the American Craftsman 50 and 70 series? John and Jim are our site editors and industry gurus and they can help you answer your most pressing questions on these or any replacement windows that you may be considering. Be sure to include your email if you'd like them to get back to you directly, otherwise we will post them here within 10 days. Thank you.